Our journalist Ella Rhodes reports from the launch of a British Psychological Society report launch at the Houses of Parliament. Employers and the government have been urged to consider neurodiversity among employees, supporting people into work, and creating psychologically healthy workplaces. 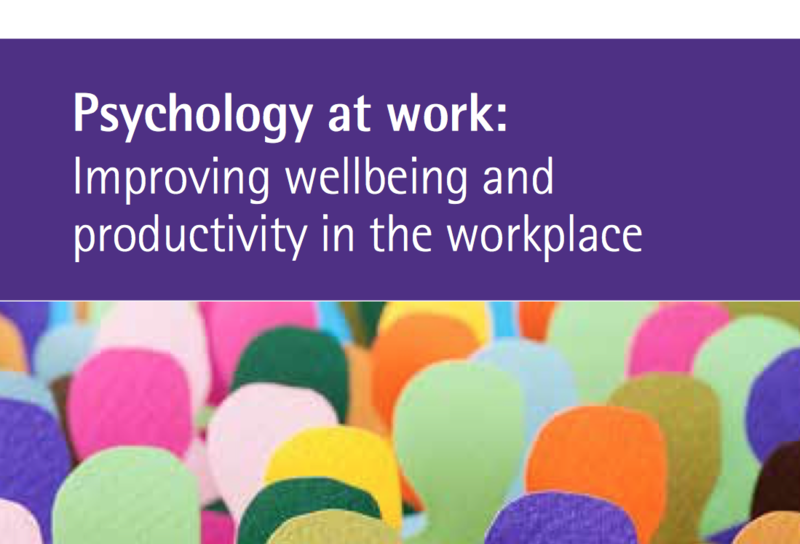 The British Psychological Society's (BPS) new report Psychology at work: Improving wellbeing and productivity in the workplace was launched at the Houses of Parliament at the second meeting of the All Party Parliamentary Group (APPG) on Psychology. - there should be a suspension and subsequent review into the use of sanctions in the benefits system and their effects on mental health and wellbeing. It also suggests a review into the work capability assessment process. - the government should incentivise employers to introduce evidence-based interventions which promote psychologically healthy workplaces. - that employers should take the needs of neurodiverse people into account in the workplace. Around 10 per cent of people are neurodiverse, a term which describes a range of conditions including difficulties with attention, memory and impulse control as well as longer-term conditions like attention deficit hyperactivity disorder, dyslexia and Tourette syndrome. Scottish National Party MP for East Kilbride, Strathaven and Lesmahagow Dr Lisa Cameron, who is also Chair of the APPG, said the report raised an extremely important issue which had implications for many. Weinberg, Senior Lecturer at the University of Salford, suggested that parliament should act as an exemplar for the kind of workplace we all deserve. Although it had been a rocky road, he added, awareness was the first step. Work, he said, was a positive experience for many, but four key things can make work even more positive. Control at work, social support, job security and resources – or not being expected to do more with less – were all vital. Weinberg said with numbers of teachers and nurses on the decline, the psychological impact of unhealthy workplaces was being brought into the heart of government. A focus on literacy, numeracy, concentration and eye contact for success in education and the workplace, Doyle said, can alienate neurodiverse individuals. She said society had created a disability in this way as neurodiverse people, while they struggle with some aspects of work, thrive in other areas. Employers owe it to those who work for them to make reasonable adjustments for those people, she added. Schemes such as Access to Work can be incredibly helpful for those with disabilities and neurodiversity, but very few know they exist. During a Q&A session, Cameron suggested interested people could meet with their local MPs to discuss having the recommendations from the report raised in parliament. While it is an uncomfortable thought for those in the public sector, Weinberg said, people should focus on the selling points of the report – that wellbeing is linked to productivity and performance, and employers should therefore aim to maintain or improve wellbeing. The report, edited by Kathryn Scott, BPS Director of Policy and Communications, and Dr Lisa Morrison Coulthard CPsychol AFBPsS, BPS Acting Director of Policy, can be downloaded for free.